A range of differentiated resources that encourage creativity in learning. A brief PowerPoint presentation to introduce Aboriginal art. The presentation touches on origin, style and purpose along with mentioning how colours, patterns and symbols are used in Aboriginal art. 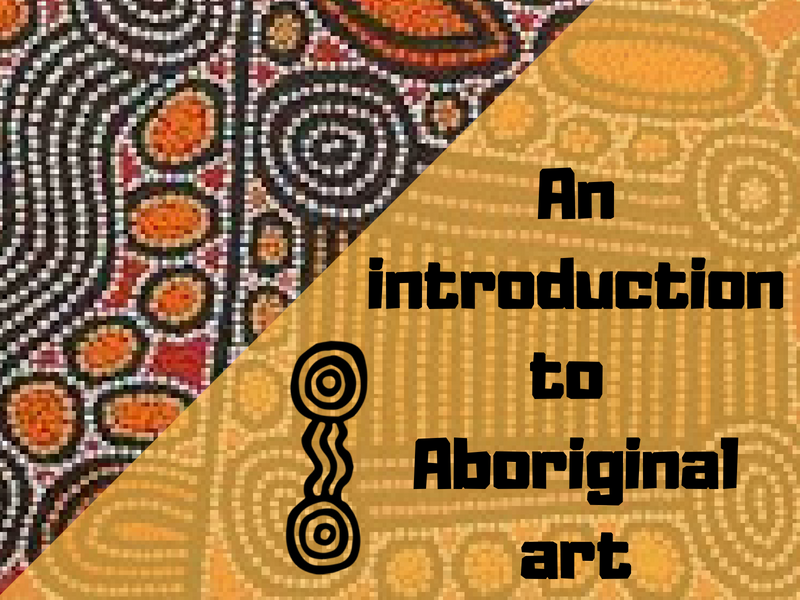 Suitable for KS1 and KS2 but, it could be used with any age group where a simple introduction to Aboriginal art is required. 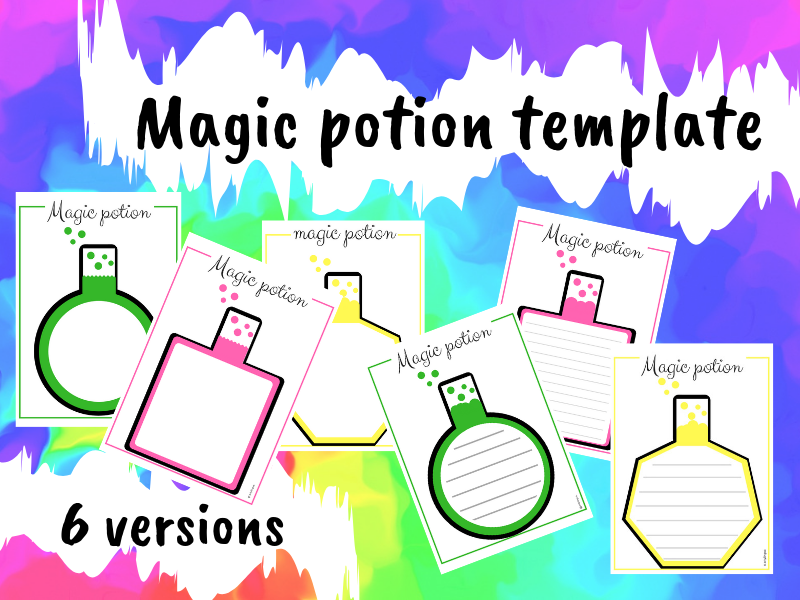 This resource contains a set of six magic potion themed templates. Three of the templates are blank and three have writing guide lines of different sizes. A great creative writing resource for a variety of topics which can easily be used by all age groups and abilities. 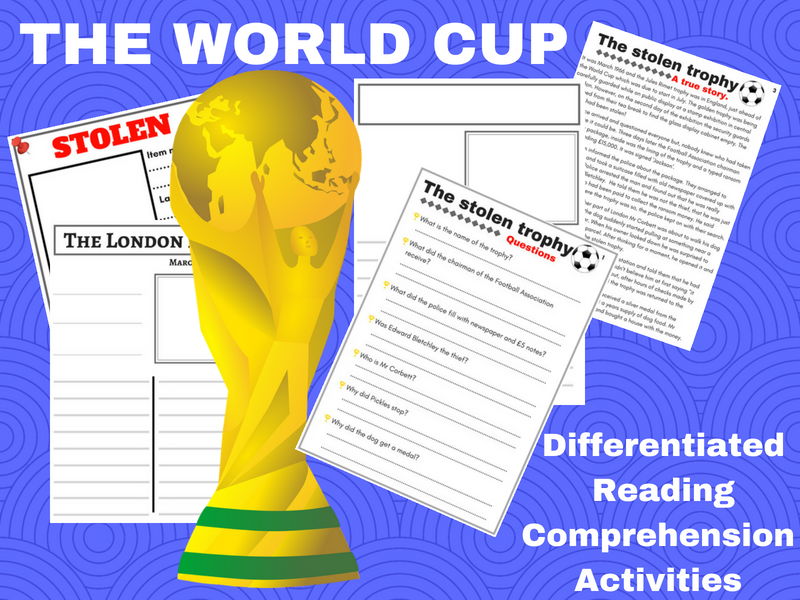 A set of activities based around the theft of the Jules Rimet trophy which was stolen in 1966 and subsequently found by Pickles the dog. This resource contains the following: A short PowerPoint presentation to introduce the different trophies that have been used since 1930 at the very first World Cup tournament up to the present day. Three differentiated versions of the story with corresponding questions, Answers to the questions. Three styles of a poster for children to complete with details of the stolen trophy. Four versions of a newspaper article template for children to create an article about an aspect of the story- for example how it was stolen or how it was found. A page of useful images. This resource has been made for KS2 but it may be suitable for other age groups. 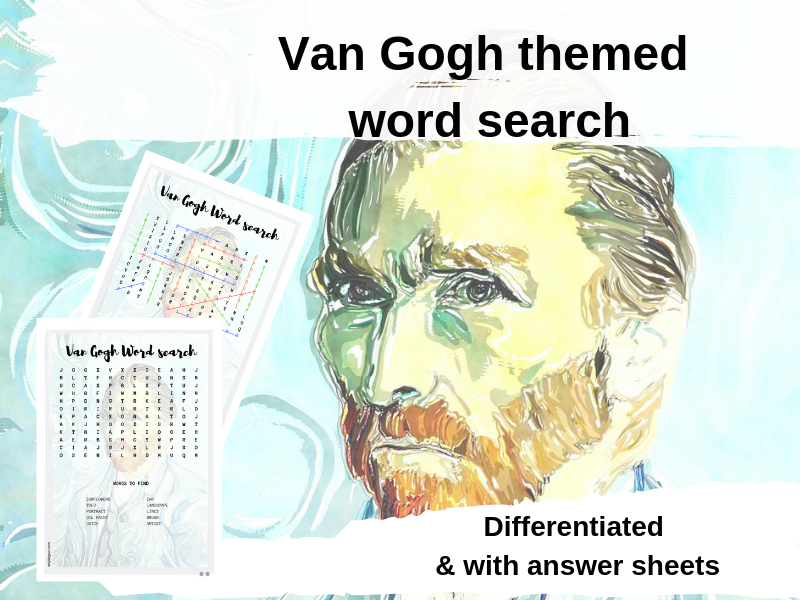 This resource includes a set of three differentiated word search sheets around the theme of Van Gogh. The words included relate to various times of the artist’s life and his unique painting style. Answer sheets are also included which allow students to check their own or other���s work or just make things easier for you, the teacher. This resource is a great activity to reinforce what children have already learned about the artist. It’s also a good activity for early finishers and makes a lovely addition to Van Gogh themed projects. This resource has been used with KS2 students but, would work equally well with other year groups depending on ability. 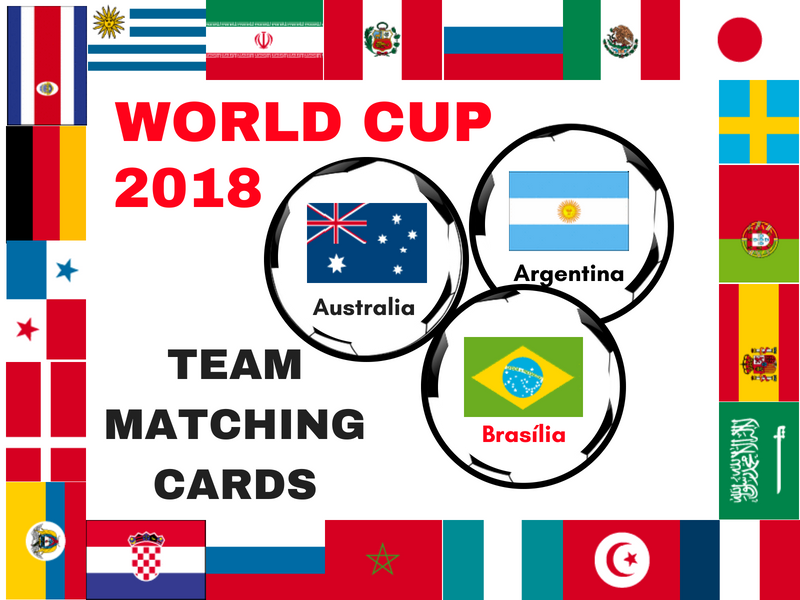 These matching cards are an ideal way for children to learn about the participating teams in the World Cup 2018 along with their national flags and capital cities. This resource contains the following: 32 cards featuring the flag and country name of every team 32 cards featuring the flag and corresponding capital cities The cards are useful for all year groups as so many games can be played depending on age. Best printed on card or use paper and laminate so that they can be used many times over. 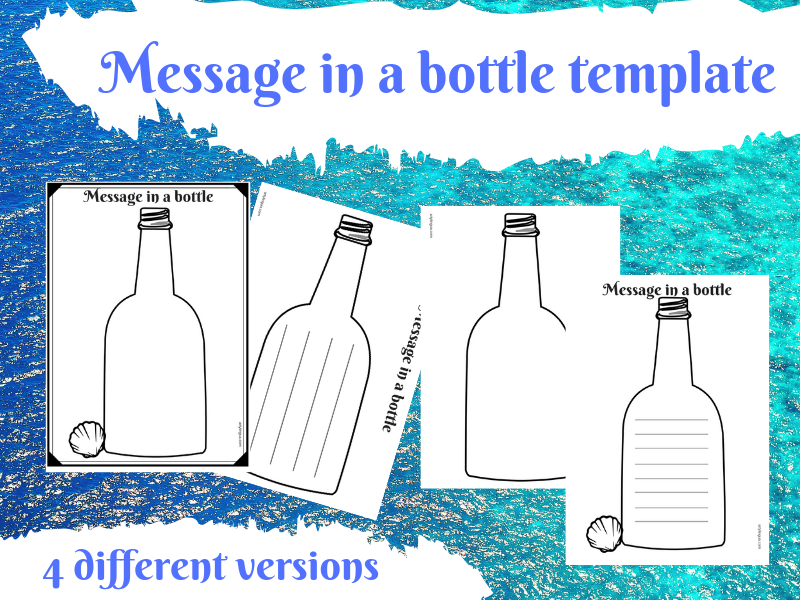 This resource contains 4 different 'message in a bottle ’ templates, 2 are blank and 2 have writing guide lines. These templates can be used for all age groups and are great for a variety of topics for example- sea themed poetry, pirates or ocean pollution. 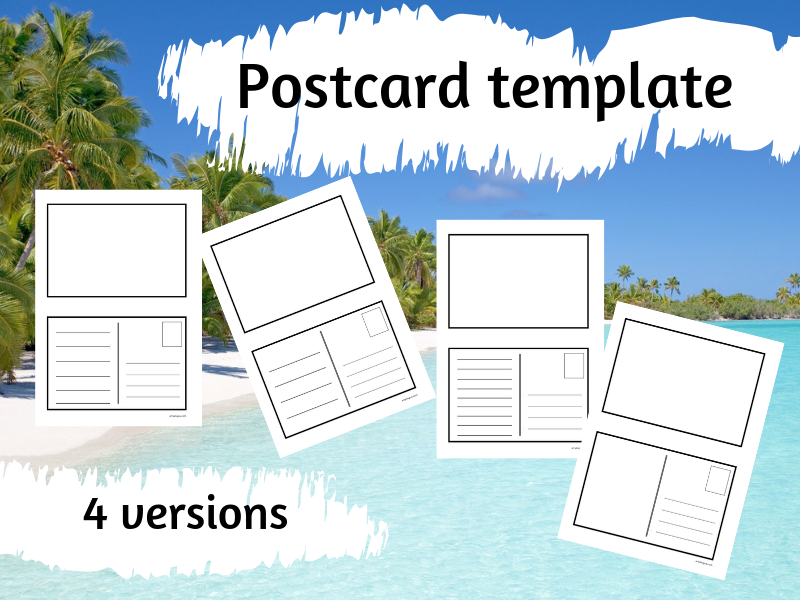 This resource contains four postcard templates- one has a blank writing section and the others have different sized guide lines making them suitable for all abilities. The sides can be cut out and stuck ‘back to back’ to look like a real postcard. A great creative writing resource that can be used for a variety of topics and themes that enables learners to use their artistic skills too. I have successfully used this resource with a range of age groups and abilities. It’s great to use as part of geography projects, imaginary places, time and place and to practice English language skills.